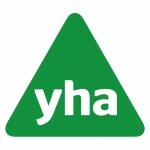 YHA is a registered UK charity with a clear mission, to inspire all, especially young people, to broaden their horizons gaining knowledge and independence through new experiences of adventure and discovery. Volunteering with YHA is a fantastic way to have fun, learn new skills, meet new people, boost your CV and give something back. We can offer help with travel expenses, discounted meals and even free stays for volunteers taking part in residential opportunities. We have a variety of different volunteering opportunities so you can choose when, where and how you give your time to support us. You can volunteer on your doorstep or at one of our many beautiful hostels throughout England and Wales. Whether you have a day, a week or longer to give, YHA has a variety of flexible opportunities on offer that can all help with CV and self-development. The great thing about volunteering with YHA is the choice of locations you can help at, and the support we give you to make your volunteering possible.